Sula nebouxii has got to be one of the coolest birds you could ever have the opportunity to see. Sula nebouxii is known commonly as the Blue-footed Booby. If you're already laughing by the name of this creature, just wait until you see it walk, or better yet, see it's mating dance. This bird will rock your socks off! 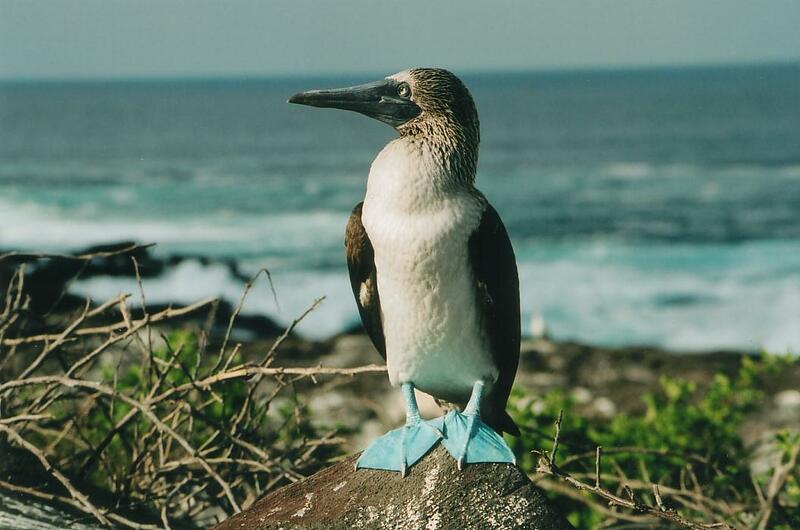 The Blue-footed Booby got its name from the Spanish word "bobo" which means stupid or foolish. These birds are affectionately called stupid fellows. One of the reasons these birds are called stupid is because of their lack of fear toward humans. If you ever visit a Booby colony you should expect to be able to get very close to these birds without sending them flying in the opposite direction. 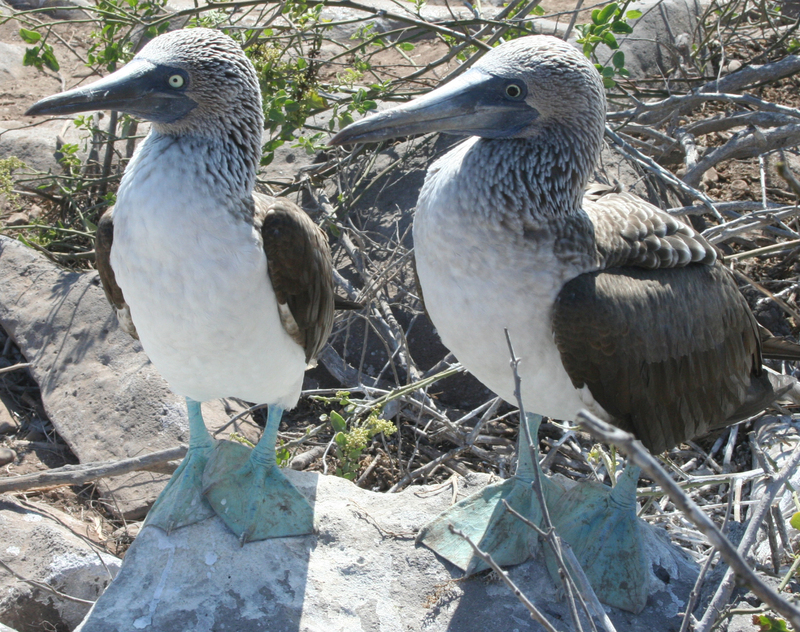 Blue-footed Boobies are identifiable by their distinguished blue feet. They are mostly brown creatures on top with white patches near the neck and tail. Their heads are both white and brown with streaking. The underside is white. Sula nebouxii have long tails and long bills which are gray and sometimes has a blue tint to it. Generally, Blue-footed Boobies get to be about 30 or so inches tall and weigh up to four pounds. Chicks are fluffy and white, but born naked, as can be seen in the picture here. Click here to learn more about their babies. Sula nebouxii females are slightly larger than males. In the picture on the left, a male and female booby are standing together with the male on the left and female on the right. Look at their eyes and notice the difference in the size of the pupil. If you are in a Booby colony and hear a high pitched whistle, that's not the gym teacher. That is the sound the male Blue-footed Booby will make. In contrast, female boobies will sound more like a honking goose. 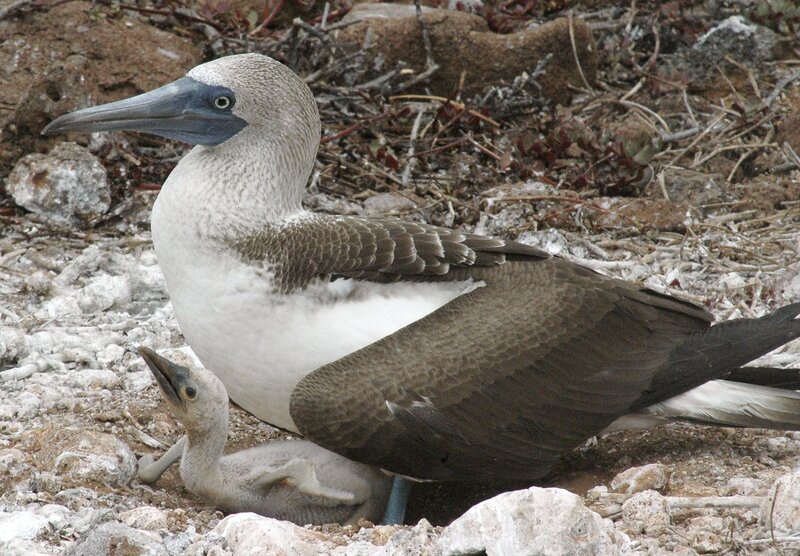 To see how the Blue-footed Booby is classified click here. My name is Amanda Kops. I am currently a student at the University of Wisconsin-La Crosse and seeking a degree in Biology with a Biomedical Concentration. 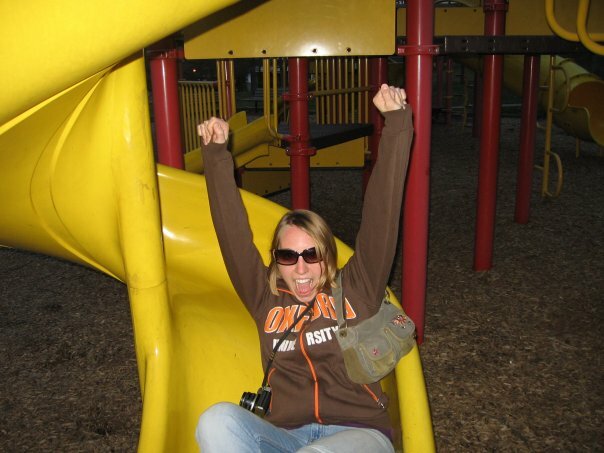 I plan to become a Physician Assistant. In my free time, when I can find it, I like to read, play Frisbee golf, play with my kitty, Hagrid, and just be outside. Template Copyright © 2007 The Island. All Rights Reserved. Designed by Free CSS Templates.